And who else would be more deserving? and to the best of my ability. I think I did okay." I happened to bump into the Senator at Longs Drugs about 2 year ago and said, "Hi, Dan." As soon as I saw the Senator's eyes brighten up, I knew he'd probably spend 10 minutes or so talking story, so I whisked off without saying another word so I wouldn't take up his day. I mean the guy's on vacation from Washington DC, and random conversation is the last thing he really needs. Aloha, Dan. 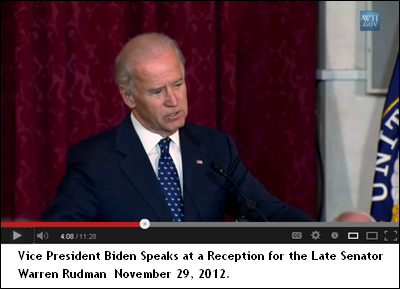 Two weeks ago, Vice President Joe Biden delivered the eulogy at the memorial service for Warren Rudman (former Senator R-NH). It struck me somewhat odd, at least, then, that Biden would mention Senator Inouye during a memorial service for another senator. Perhaps, or perhaps not, people in the inner circle knew something that we didn't know about the true extent of Senator Inouye's health issues. Anyways, Inouye's not the type to drag people through stories of bad health. He had more class than that. "I've never met a man in all the years I've served, with the single exception of Dan Inouye, that had the integrity, faith and grit in the ordinary American people .... as Warren Rudman." .... We first met Sen. Inouye in the halls of the Senate back in 1970 when I was 10, and my mother was trying to visit our own senator to arrange a tour of the Capitol, only to find his office closed. Seeing the look of disappointment on my face, Sen. Inouye graciously invited us to his own offices, and not only had his staff make those arrangements, he also took us to lunch in the Senate dining room, and invited us to see the Senate in session. That little boy never forgot his random act of kindness, and I've always had a lot of aloha in my heart for him. In 1966 my grandmother worked in the Senate cafeteria. He used to give her his two tickets to the Washington Senators so that she could take her 13-year-old grandson to the games. Some of my fondest memories as a child. Sen. Inouye's Indian Gaming Regulatory Act was probably one of the five most important pieces of social change law in American history. 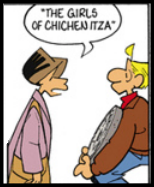 That Act gave American Indians the first real chance they ever got. This one piece of legislation changed America; it should be in the first three paragraphs of Inouye's biography or his obituary. I had the honor to meet him once briefly. It was in a line to get through security at Dulles. He was standing in line like everyone else. .... I met him in the spring of 1985. He and his wife were walking up past American University and on their way to lunch. My wife and I, almost thirty years their junior, were sort of heading in the same direction. We fell into conversation. My wife and I had served together in the Navy and were stationed in Hawaii in the late '70's and we got to talking about our favorite Honolulu restaurants - like Maple Garden on Isenberg Street - a restaurant the Inouye's knew well. (It's still there and it's still great - no tourists!). Next thing we knew, we were invited to join them for lunch and I must say, the next 2 hours were absolutely amazing. We exchanged Christmas cards every year since and though I never saw them again, I still to this day hold a special place in my heart for these remarkable Americans. .... Mahalo for all you have done for Hawaii and the United States. You are a true statesman. You helped to open doors for people from Hawaii. You gave so many Hawaii people the opportunity to work in Congress and the federal government. You gave pride to the people of Hawaii. You set an example for all of us that yes, we too, can achieve. Your legacy lives on in many of us. .... Ralph Ensminger (my grandma's brother) served as Senator Inouye's Captain in the 442nd and died in the first battle in Italy. Senator Inouye graciously dedicated a chapter of his book "My Journey to Washington" to my Great Uncle. 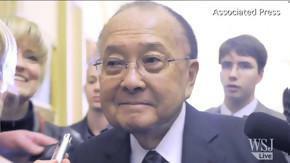 Senator Inouye was a brave, amazing man. He signed a copy of his book and presented it to my grandmother (who grew up in Hawaii) many years ago. Rest in peace, Mr. Inouye. Thank you for being a true hero and leader. .... My Dad fought along with Seator Inouye in Italy. What a great hero, Great american and even better person. It is a sad day to hear of the passing of this great man. God please offer him rest. Mr Inouye Thank you for your honest, ethical,honorable and humble service to this country, I salute you, hope and pray .... May God give you the eternal Joy you so richly deserve. 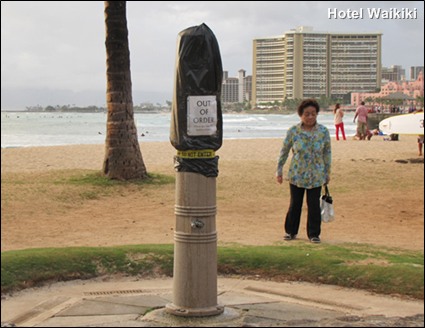 In 1990, I started a company in Honolulu called O'ahu Wireless Cable to compete against the cable monopoly that is Oceanic Time Warner. Senator 'Dan,' concerned about the constantly rising of cable rates with no competition, helped me to get the FCC licenses I needed. I had never met him prior to that (and a recent newcomer to the state) but he wanted his constituency to have a choice and not be held hostage to the national cable monopolies. He invited me to Washington D.C., introduced me to the FCC Commissioners, and 'asked' them to do all the could to help us get started. I will never forget his help and support! Aloha Senator Dan! You will be greatly missed. .... one bill that he wrote trying to give space a flight privileges to 100% disabled vets didn't get support from Gillibrand and other Senators. Disgraceful. Hope they will honor him in death by co-sponsoring the bill. 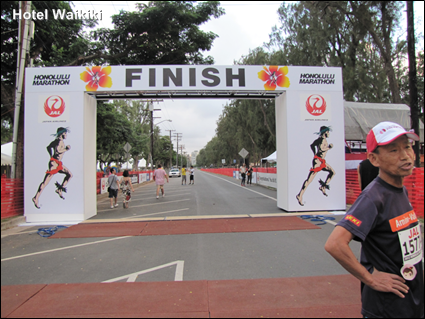 Without further ado, The Arc de Triomphe ala 2012 Honolulu Marathon. It's been a tradition the day before race day for runners to have their pics taken running under The Arc de Triomphe in full stride arms high in victory and not even breaking a sweat. 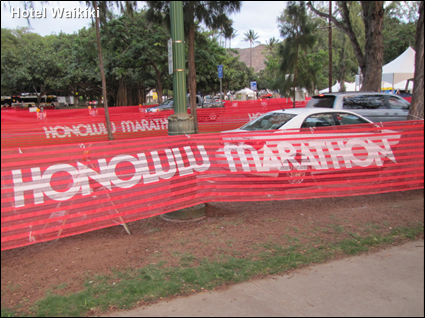 Tomorrow will of course tell a different story at the end of the grueling 26.2 miles. I surmise that's the reason for the red mats to cushion the finisher's landing if they so need it. 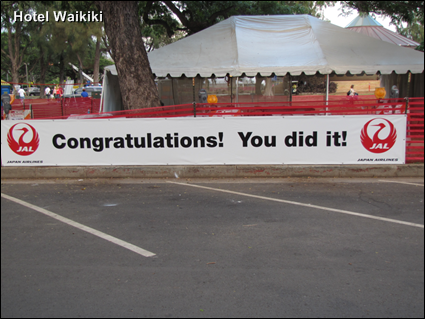 Minor detail, this is actually the finished-side of the finish line. 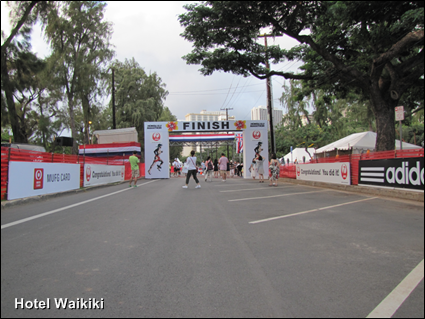 This is the real deal from the runner's vantage point about a 100 meters from the finish line. Still looks far to me. 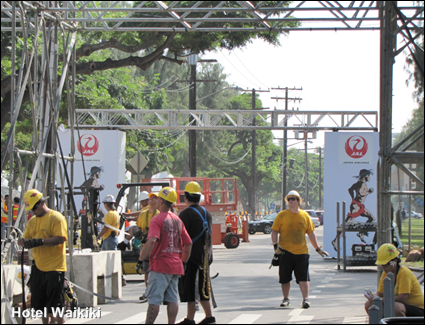 The completed camera & media platform that the workers were setting up in yesterday's pic. 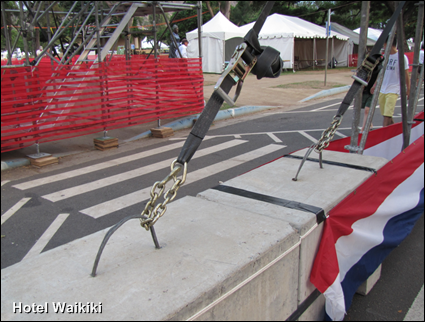 Plastic crowd control barriers lining the home stretch. 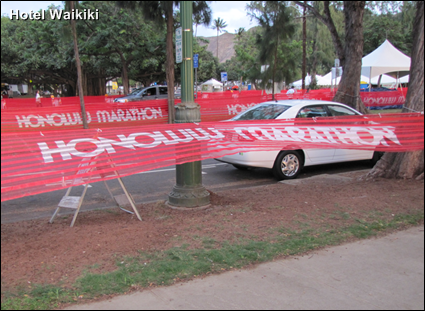 You can see by how a welcome breeze lifts up the plastic fencing, it's a better running weather. It's been humid for the most part of this week. 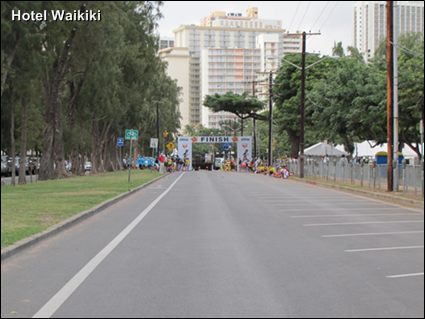 I was mentioning in yesterday's post that oddly I didn't see the Arc de Triomphe at the official finish line for the Honolulu Marathon. The marathon is this Sunday. Well, it turns out that my eyes weren't seeing things, or is it, deceiving me. I mean the crew didn't start erecting the Arc de Triomphe until this morning. In the pic above the workers are scaffolding the columns and the architrave, the horizontal beam or bridge in this case. I believe that perch is for the tv cameras. 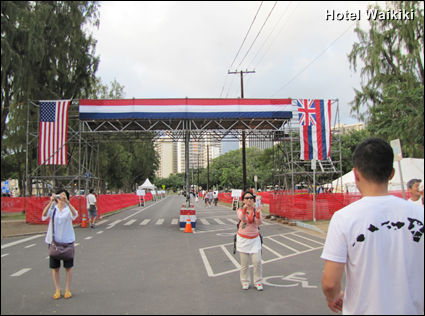 Anyways, below, is the Arc de Honolulu that the finishers run under with their arms up in victory if you equate pain and exhaustion to victory. Their feat never ceases to amaze me. Their feet, too. Every year. There's two bronze ponies if you can make them out the photo. 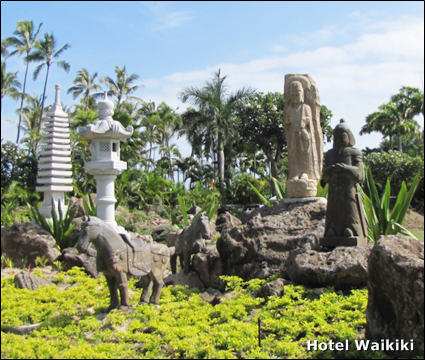 They and the two stone statues are the latest additions to the Stone Gardens along Kahala Ave. Dunno why the objects in the pics always seem blurred. Perhaps the lens needs cleaning okay why I never look then. Anyways, if I had arrived an hour earlier the sun would have been in a better angle for the photo shot. Perhaps, again this weekend. 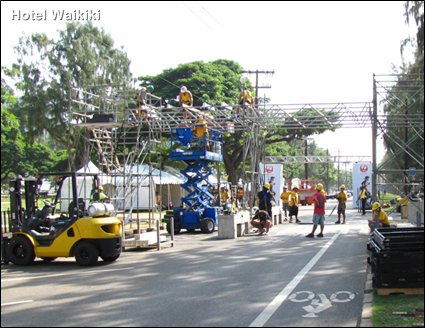 *Whoops, I forget the Honolulu Marathon is on this weekend and the home route is Kahala Ave. Oddly I didn't see the Arc de Triumph set up at the Kapiolani Park finish line when I passed there today. Good thing the homeowner above been wake up when he heard his dogs barking at 2am in the morning. This happened last week Thursday night. He get up, he hear somebody outside in the dark, sound like they breaking into his house. So the home owner been yell at the intruders and they been run away one got caught later down the street. Here's where the story gets beyond pathetic. The next morning he check the outside of the house and he found a few window screens partially pried open. He keep looking around and to his utter disbelief, he discovered that the thieves been steal all the christmas lights that was strung up on the eaves. Effin lolo's. So if you run across somebody trying to hawk strings of christmas lights to get money to buy their meth .... no call the cops. We take care of the lolo's ourselves. I usually put up my christmas lights by the stroke of midnight Dec. 1st. If I don't put them up by then the odds are that I'll skip this year like I did the last 2 years. Something related to not making a proverbial deadline ordained in the horoscope or some other type of temple of divination that the jungle has overgrown and shrouded from modern civilization. Of course Dec. 1st been pass already. Up until now that would mean no christmas lights on my lanai railing (balcony). However, the story above has inspired me to dig deep down and find the energy inside myself to string up the christmas lights anyway. So, bruddah, above. Sorry for your lost. But you can come my house and look at my christmas lights dedicated to you and your family. And your family dogs. Bellieve me, I gotta dig way inside my locker room underneath stacks of things for the christmas lights. 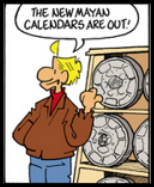 But I find them. Aloha. When I walk around my neighborhood at night, I notice that not very many people have strung up christmas lights. The exception is the people who didn't take them down from last year and they just plug them back on. Their plastic trees will keep a year too. I'm not mocking you dear reader who have the evergreens. However, this lack of christmas lights, the ceremonial spirit, whatever, has been going on for a few years now. I guess the economy has dampened people's spirits not by any measure to a melted snowman demeaner bah humbug christmas is plain overrated I'll regrift the joy and the send it to the next recepient down the line like a chain letter no kurgerrand for you red kettle, but the genuine meriment doesn't overflow the cup as robustly as it did. That is, before the economy went to the south pole, there were visibly more christmas lights set up everywhere on this side of the Ala Wai canal and on the other side of the Ala Wai too. In other news, or should I intone, in other observations, soy beans were on sale for 4 for $5.oo at the grocery store. That's $1.25 each. 16 ounces packages. However, usually a 16oz package of frozen soy beans is almost $4.oo at the going rate. They use to be perenially on sale for $1.00 to $1.25 almost all year round. It remains a mystery to me why the price of soy beans been fluctuate so high. It's not real important in the grand scheme of all things grocery-wise, but they were my favorite snacks. I use to eat them frozen. Rarely less than a bag or two a week. 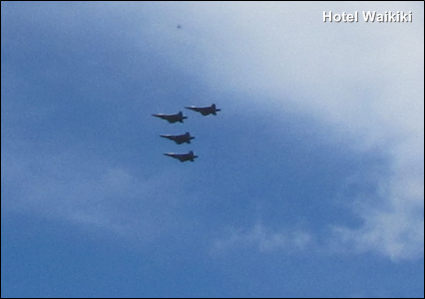 As you can see in the pic, today was not a clear day. 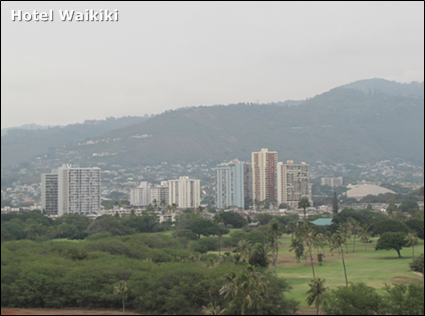 Variable winds drove in the vog that always lingers in the atmosphere south of the islands. Vog is volcanic haze. Or at least, as I endear it, The Veil of Pele, the Hawaiian volcano godness. Now back to our story du jour. As usual it's a rant. Rant or Rave. I try to keep a healthy balance between the two, but know what when was the last you remembered I raved about something? Anything at all. Alrighty, then, from now on I'll rave hysterically about this or that like someone overdosed on their happy pills. Won't we like that? Just trying to be humorous. Seriously, though, it's not sane to rant with every keystroke. Fyi, there is a Bloggers AA. 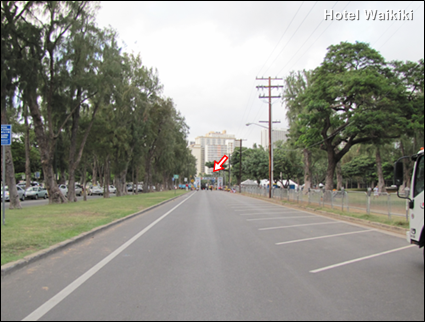 They meet every Friday night 6 o'clock at Kapiolani Park under the two coconut trees. Free refreshments. Be there. Unfortunately there isn't a Rant-ers AA chapter on the entire island. "Hello everbody, my name is Ronw Waikiki, of the clan Waikiki. I have been sober have not ranted for 5 weeks and 2 days and 6 hours and 7 minutes." Applauds. "Mahalo." 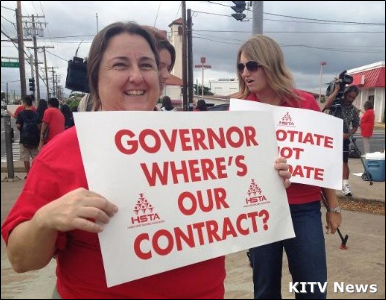 Hawaii teachers supported Gov. Neil Abercrombie in his campaign bid for Hawaii's governor. So what's a Governor to do for people who supported his acendency? Why, simply relegate their status to an inconvenient liability. The gaul of the teachers trying to collect on a bygone favor with something more substantial than a hearty thankyou, my friends. "Just sign the freakin contract, already!" Never mind the terms are so lopsided that the teachers at 40 schools are rallying en masse that the Governor draft a revision. Before Neil was governor he was a professor at the University of Hawaii. You'd tunk that public teachers are his comrades-in-arms insofar as the issue of pay. Yes, the contract dispute is all about money. 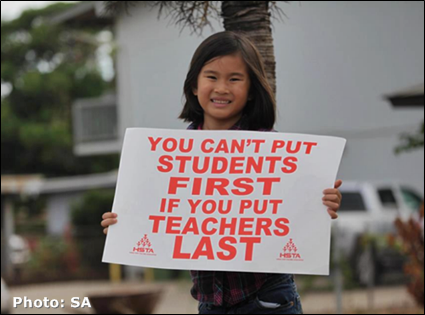 Specifically, less money for the teachers. In the lastest and greatest proposal, the State with Gov. 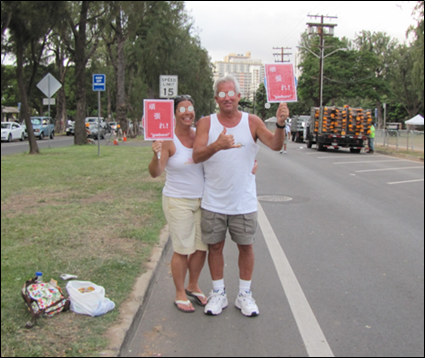 Neil Abercrombie presiding sought to restore teachers' pay back to the 2007 level. Now it makes dollars and cents that kids taught proficiently in grade school are more likely to past entrance exams to enroll at the university level where Abercrombie, himself, formerly earned his livelihood. True, the state has just semi-recovered from a brush with near bankruptcy and money is tight. Part of the recovery was made possible by furoughing teachers 2 days a month without pay. Oh never mind about the kids roaming the streets who no longer had a classroom on those furlough days. However, inexplicably, Gov. Abercrombie earlier this year proposed the incredulous idea of building new prisons so prisoners that Hawaii shipped off to mainland private prisons can return home and those prisoners could be repatriated in body and soul with their families on local prison visits. By Gov. Abercrombie's metric, the mainland method is cruel and unusual punishment even though the average citizen would suspect that the Governor is ante-ing up to the terms of a blood oath he tendered behind the campaign curtains between himself and the prison guards industry as such offshoring Hawaii prisoners is cruel and unusual punishment to the livelihoods of the prison guards. Thus it must follow that it is unconscionable to let Hawaii prisoners be locked up in Gitmo and the humane cover is they be brought back home albeit shackled to the ulterior motive disguised in this instance as thinly as the vog in today's air with islanders rubbing their eyeballs. The state already has in place a prisoner program for readjustment back into society where Hawaii prisoners are shipped back to the islands to serve the final year of their sentences so they may acclimatize themselves to the warmer weather and tradewinds to foster an orderly transition leading up to their release. I don't how many prison guards actually vote. However, I have a strong hunch that almost every teacher does vote. Thusly, Gov. Abercrombie's odd behavior defies political logic. At any rate Abercrombie isn't catering to the teachers behalf. Instead he's read them the riot act that there is no money, period. But there is money to build brand new prisons with humongous price tags. Btw, the current prison guards are set for life. They don't need new prisons to insure the future of their livelihoods or necessarily give a hoot about newbies entering their profession with the prospectus of new prisons. The last student dormatory built a year or two ago at the University was the first new dorm building the state built in three decades on the university campus. From the very beginning of time and I don't meant time served it's been a fact that new prison eventually become old prisons and old prisons need refurbishing. The state can barely keep up with the backlog of school repairs and potholes how do they reckon to fix even more. It's also a fact of life that spacious new prisons become overflowing prisons in a matter of years. Then it'll be the revolving door scenario where there'll be law suits and the state will ship the overflow off to mainland private prisons. Then there's the legacy costs of the prison guard retirement and health insurance benefits for the pensioners that will come back to haunt Gov. Abercrombie. Obviously, he won't be still in office by then. So no skin off his oklole.